Join us for a combined meeting with Seattle TA3M! You are probably in a criminal face recognition network. Did you know that half of US adults are in a face-recognition database? If you live in Oregon or Washington state, your face data is stored in your state's driver license database. Both states use facial recognition software to prevent driver license fraud and neither currently shares their databases with law enforcement. But what if that changes? Facial recognition can be useful for some things, like unlocking our phones, but companies and governments can also use the technology for their own purposes — without our consent. While the technology has made great advances in accuracy, many programs still have difficulty with darker faces, women, and children. And a number of questions still exist in other areas including privacy, consent, discrimination, and whether the technology will be used for general, suspicionless surveillance. Clare Garvie and her colleagues at Georgetown Law's Center on Privacy and Technology did a year-long investigation on police use of facial recognition, and the result of their research is a paper called "The Perpetual Line-Up: Unregulated Police Face Recognition in America" (https://www.perpetuallineup.org/). She'll share insights from the study and tell us how the information has already been put to use in shaping policy for the use of facial recognition technology by government. She'll be speaking to both groups, Seattle TA3M and us, via teleconference. Join us for a great presentation and discussion about facial recognition! We'll have snacks, and there will be an opportunity for networking afterwards. We hope to see you there! This event is organized not by EFF, but by Portland's Techno Activism 3rd Mondays—a grassroots group participating in the Electronic Frontier Alliance. 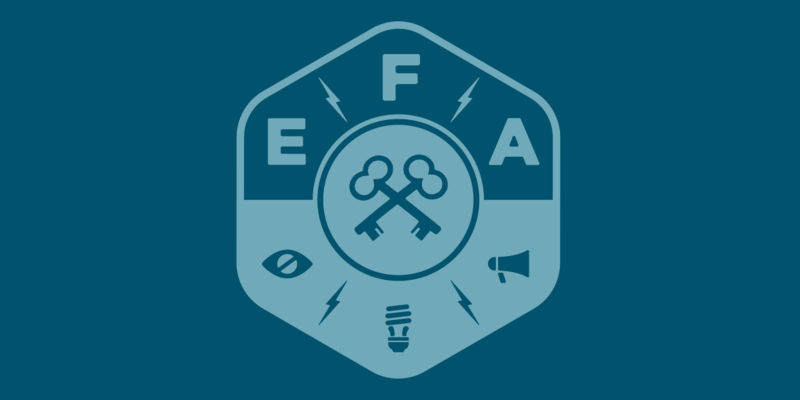 The EFA is a network of grassroots organizations across the country committed to promoting digital rights. Together, we're building a movement to promote freedom of expression, privacy, security, creativity, and access to knowledge.